The annual Good Food Month festival is back like a recently re-throned King Charles the Second and restored alongside it, the jewel in Good Food’s figurative gastronomic crown – The Night Noodle Markets. Lining the banks of the Yarra at Birrarung Marr – just around the corner from Fed Square – this year’s Night Noodle Markets will be the biggest ever, with a record-breaking 56 stalls all vying for your custom. You can expect classic dishes from fan favourites like Longrain, Hoy Pinoy, and Wonderbao, as well as offerings from spicy young up-starts like Delhi Streets, Kong and Chin Chin, and Hawker Hall. If that hasn’t already got you salivating, Michelin-starred dumpling wizards Din Tai Fung will overload your tastebuds with their succulent xiao long bao. More of a fusion food aficionado? Then you don’t want to miss the Lady Carolina pop-up with internationally renowned guest chef Diego Munoz. Munoz, the chef behind Astrid y Gaston, which is the fourteenth best in the whole wide world (no biggie) will be dishing up Peruvian-Japanese treats so good even Alberto Fujimori would line up for them. 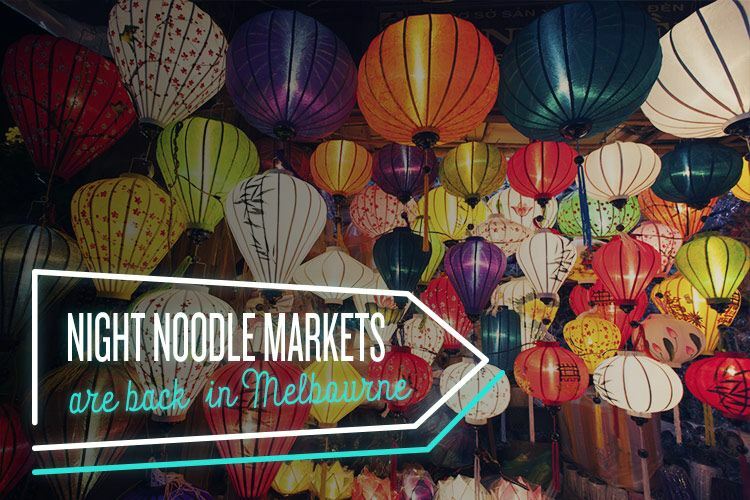 If all of that still isn’t enough to get you out and sampling the finest Asian cuisine Melbourne has to offer, then remember: the Night Noodle Markets come but once a year. It’s going to be a-whole-nother year before you can stuff your cheeks with beautiful bao, delicious dumplings, succulent suckling pig, rich rendang, and phenomenal pho, all while overlooking the city lights reflected in the Yarra. Wash it all down with a drink from the Singleton whisky bar as you prepare to chow down on a fairy-bread ice cream sandwich from Big Gay Ice Cream, all the while surrounded by food-mad Melburnians just like yourself. Sound too good to be true? Well, don’t forget the kicker: entry is FREE.